Our client, Monument Realty, a residential and commercial developer, sought approval for a first-class regional headquarters for Boeing Company in Arlington County, Virginia. Monument asked Walsh Colucci to negotiate the required land swap, density transfer from one land parcel to another, General Land Use Plan amendment and site plan approval based on their long standing relationship with Art Walsh. This request was particularly challenging. In addition to security challenges, there were community and Federal concerns about building height and visible signage because of the property’s proximity to Reagan National Airport, its location adjacent to an Arlington County signature park along the Potomac River, and its immediate proximity to the National Park Service controlled George Washington Parkway. Shareholder Art Walsh patiently addressed each of these concerns in a series of community meetings and other high level negotiations and hearings. 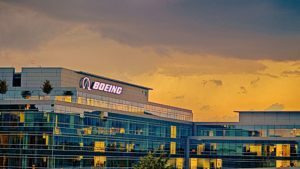 Success was achieved with approval of a six-story, 453,422 square foot regional headquarters for Boeing Companies that solidifies the presence of this major corporate entity in Arlington County. VDOT v. Wolf Trap Foundation for the Performing Arts, Inc.